Dress: Vintage (it was my Grandma’s). Coat: Anthropologie. Belt: J Crew. Shoes: Lucky Penny. Bag: Vintage. Glasses: Martin&Martin. Watch: Skagen. Bracelets: via SF Made, Vintage. Scarf: via Oman. While the rest of the country is in the middle of a heat wave, San Francisco seems to have missed the memo and has been a delightfully predictable 65 degrees. On an unrelated note, this is one of my favorite dresses straight out of my Grandmother’s closet. I really like the coral & aqua color combo! LOVE this look! 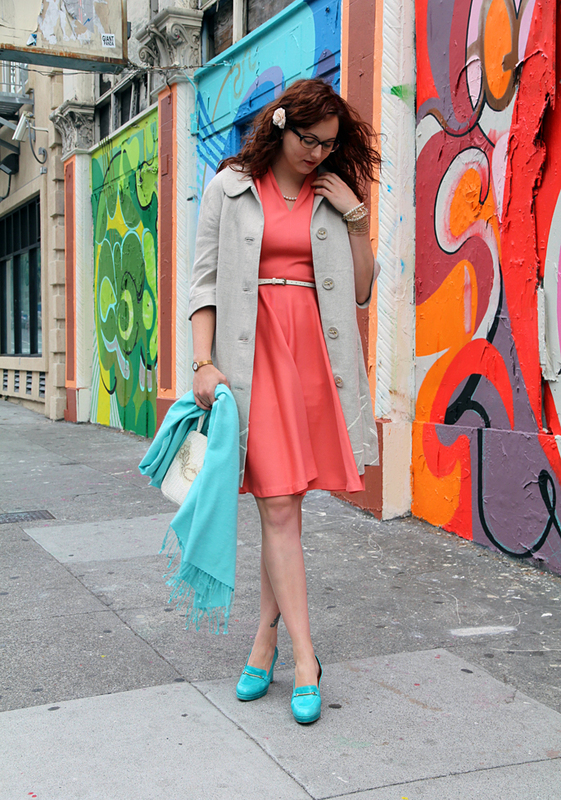 The contrast between the peach of the dress & the turquoise accessories are perfection! Feeling inspired to raid my grandma’s closet! 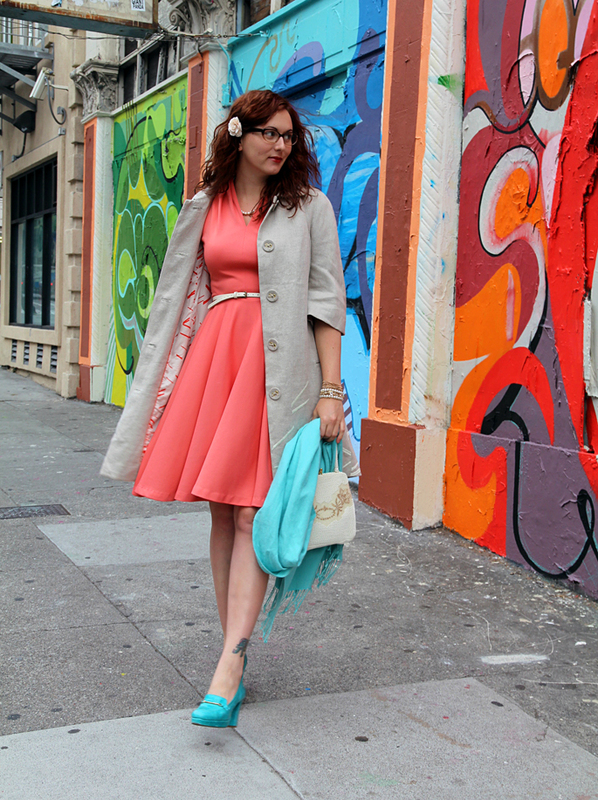 Pretty dress – you’d never know it was from another era and the color looks great on you! Great dress on you and the shoes are PERFECT with it! Hello! 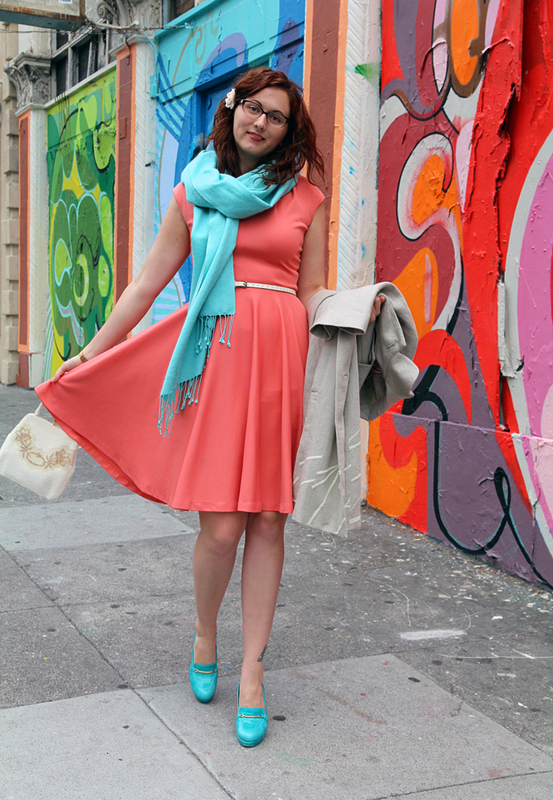 I just found your blog via Already Pretty and I’m so excited to meet another tall blogger! 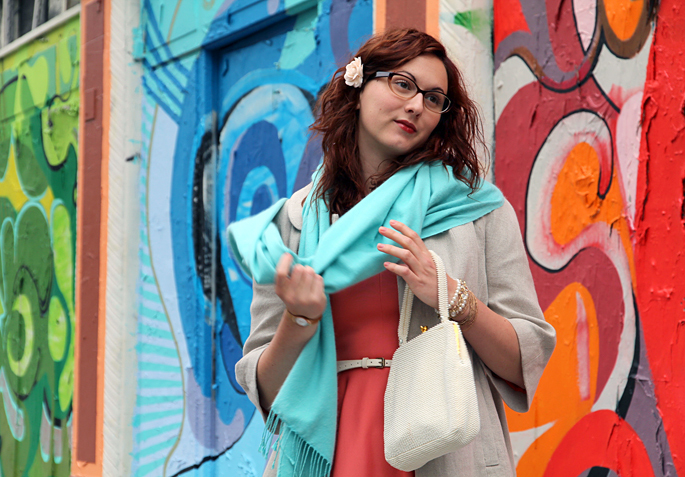 Love your style and your absolutely lovely blog! Lovely color combo, and the cut of that dress is so flattering! I also really like that coat.